If extra hold is what you're after, Session-Max Spray by Unite is it for you! Just be careful, once you spray your hair you better make sure that it's exactly how you want it. You can use GO365 if you want a workable spray, but I used Session-Max Spray at my last photo shoot and yes, oh yes did it do the job! I love it to pieces!! Stepping AWAY from the Chair and into a PILE of FEATHERS!! I am sadly announcing that I am temporarily stepping back from behind the chair to run a feather/hair extension company with my friend and now business partner, Airie McCready. I can be available to do freelance work from time to time, but wont be able to book people on a weekly basis. My last day at the Salon is June 18, 2011. I am still only there Wednesday, Friday and Saturdays until that time, so book away!!! After that I totally feel comfortable referring you to a stylist at The Style Lounge or we can work out something on a when available basis. Please visit http://www.thestyleloungecarlsbad.com/#!stylists to see all stylist available and their contact information at the style lounge. Feel free to visit www.AirHairExtensions.com to see what I'm up to!! Chanel makes makeup!? It makes sense... how did I not know. I had the privilege of being a model for a make up class with Jeremy Kaikala and Vitalumiere Aqua Foundation by Chanel was used on my face. I am so picky about foundations that I usually just go without. I hate feeling like I'm wearing paint on my skin. Just to do the simplest skin care preparation before you put your make up on is the first step into having great skin. 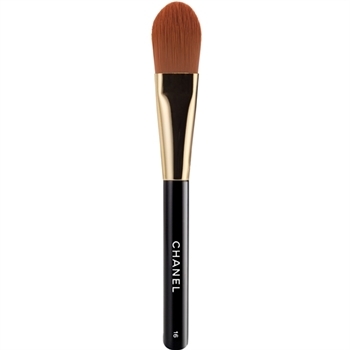 After this foundation was applied it was so light weight, its aroma was light, clean and floral. It doesn't feel or smell light typical foundation. I forgot I was wearing it. I loved it. "The tiniest drop of this new hybrid fluid creates a fresh, natural complexion. Skin looks refined and feels refreshed, creating an exquisite makeup experience. 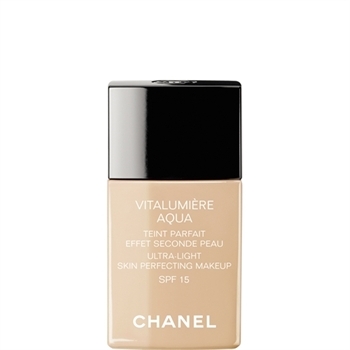 The fluid formula has a soft, water-light texture, and comes in 10 shades that match perfectly to skin’s undertones, whether pink or beige. Dermatologist-tested. Non-comedogenic. Oil- free." Other items used on my skin for make up preparation was Dior lip maximizer, Chanel lift concealer, Laura Mercier universal setting powder, and Perricone advanced eye therapy. All these products felt fantastic and set my skin up for a perfect makeup application.